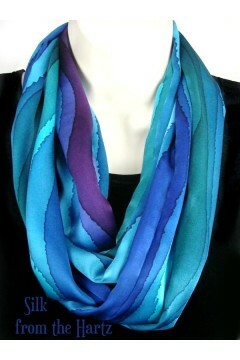 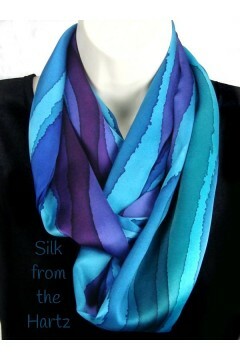 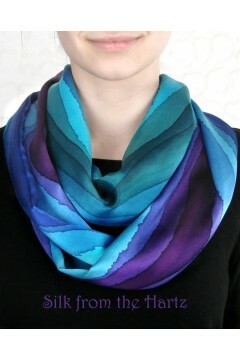 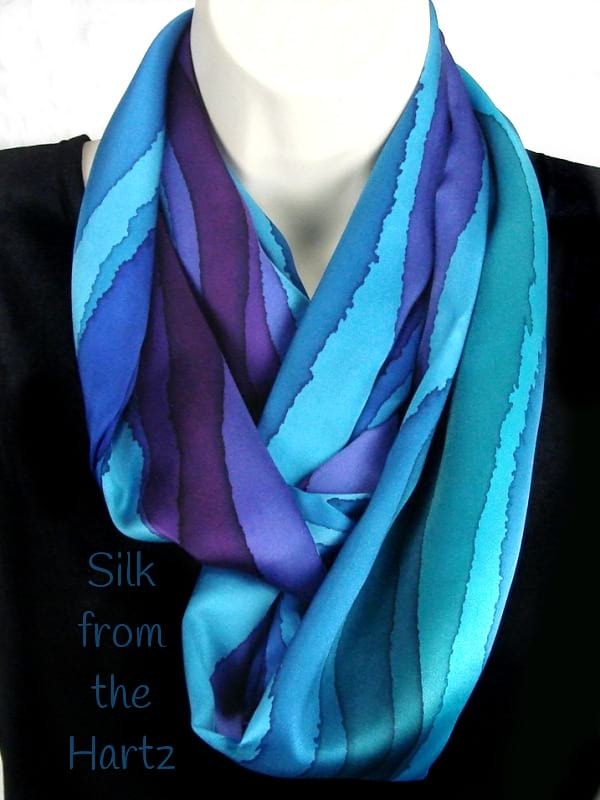 Our striped infinity scarf is an awesomely beautiful accessory hand dyed in luscious silk satin. 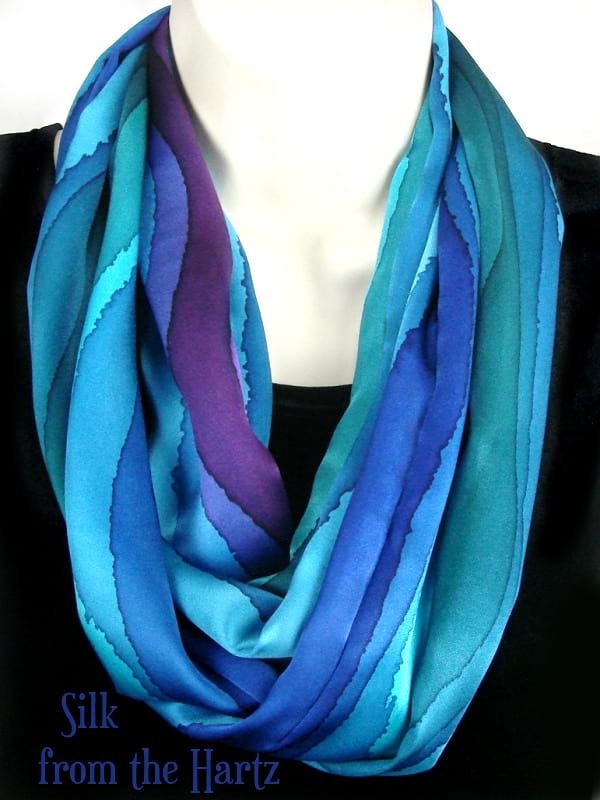 Twist it many ways to show off different colors. 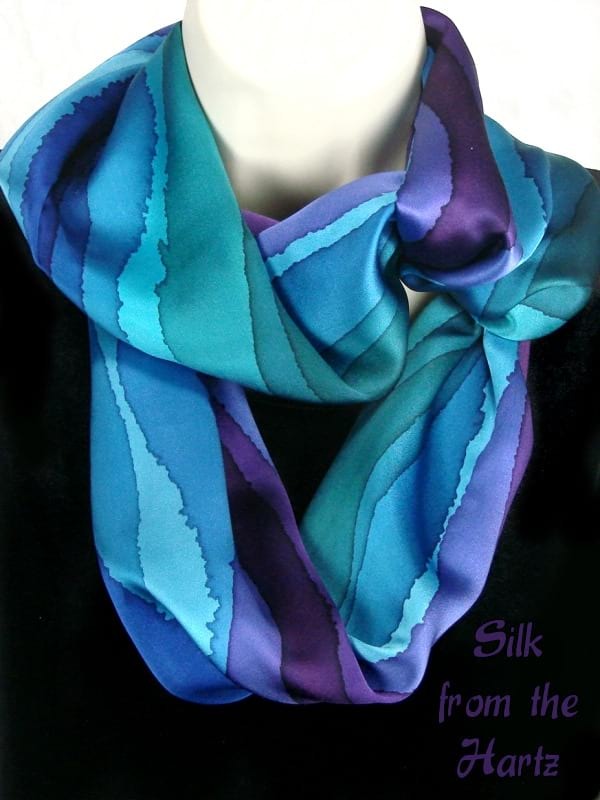 You'll love the way it feels wonderfully soft on your neck. 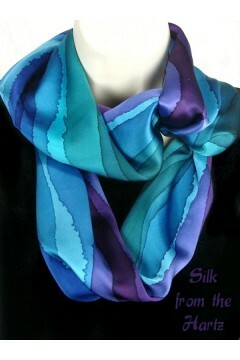 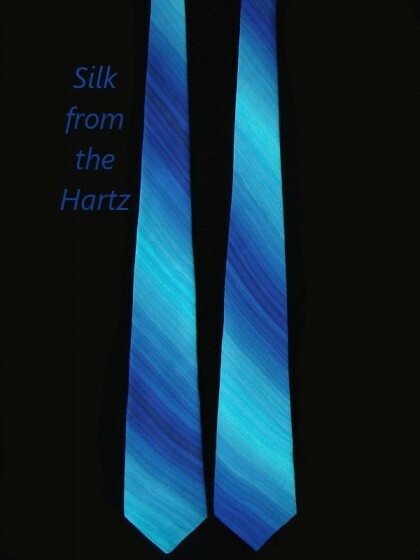 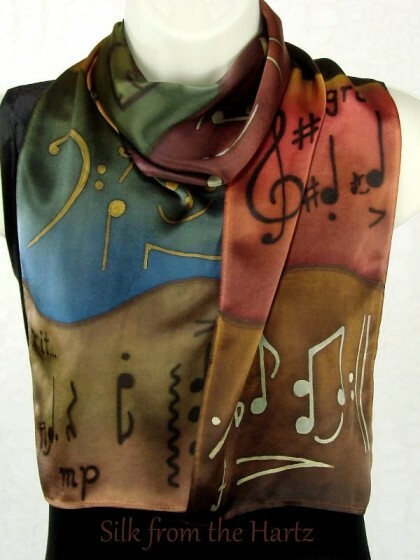 A luxurious, elegant one of a kind silk scarf for women, a unique gift for mom, or a special gift for your wife. 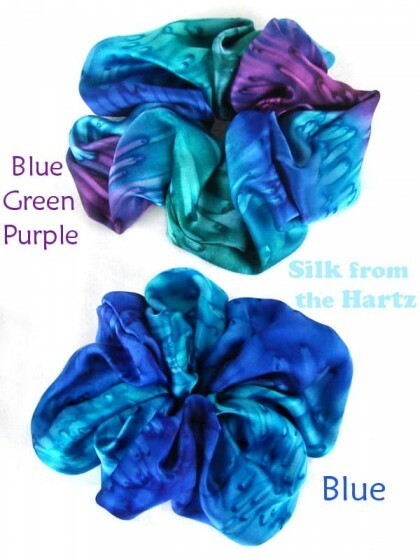 Creative, Cool Gift Idea for Girls Soft silk scrunchies creatively hand dyed in beautiful royal blue and turquoi..